When our computer or device gets hung up, the first piece of advice we get usually goes, Did you try restarting? Rebooting causes programming to refresh itself, which typically relieves whatever bugginess has cropped up. In relapse, we can feel as though we have gotten hung up too. We are frozen in a pattern of compulsive eating, and we can’t get to the next screen. But unlike an insensate device, we have to reboot ourselves to get our OA program back online. It’s up to us to take the actions required to gain or regain food sobriety. The recovery is ours, not the next person’s. I can’t stop eating compulsively once I start, and I can’t stop from starting. My food plan wasn’t enough by itself to prevent me from eating compulsively. My disease is worse now than when I first arrived at OA. I can’t work this program without a sponsor. I need to take my sponsor’s suggestions. This disease uses my own thoughts to kill me. I can’t do this halfway. I need to do the Steps. I’m totally screwed without OA. These are just a few things we may have learned, there are so many others. We can take what we’ve learned and use it as a stepping stone toward recovery. We know that eating in isolation is likely to kill us with a heavy dose of misery before we lose our life. we need the fellowship of OA. Luckily, OA’s nine Tools are designed to help us make maximal use of the fellowship. Meetings, Telephone, and Sponsorship place us in direct contact with other local compulsive eaters who can help us. Literature gives us insight from OAs around the world. Writing helps us get those lessons mentioned above onto paper so we can remember them and talk about them with other OAs. Food plan helps us restore boundaries to our eating and provides an opportunity for accountability. Service helps us stay connected to OA. Anonymity frees us from shame with the knowledge that the public isn’t invited to know our story. Action Plan gives us a framework for understanding how each element of our program supports our abstinence and recovery. Of course, we’re going to need more than fellowship with people as the ABCs we referenced above tell us. We need a Higher Power. That’s a big lump in some of our throats, but less difficult to swallow than we imagine. All it takes is a willingness to believe something might be out there and a decision to work with that Something for the Steps to work for us. Stubbornness: We know we’re in trouble with food and that others have recovered, so why do we insist on doing it our, failed, way? Honesty, open-mindedness, and willingness are the keys to successful recovery. If we practice their opposites, we’ll get the opposite of recovery. Finally, the journey to recovery can seem long and difficult when we try to imagine how getting back on track will play out. Yeah, there’s work ahead of us, but we’ve been committed to our substance one day at a time for a long time. Now we can commit to freedom from food obsession one day at a time. In the long run, a little work now will save us a lot of pain and an early death later—or for the really unlucky, sooner. For us compulsive eaters, “Black Friday” and “Cyber Monday” can have very different meanings than for everyone else. One that we don’t like, and one that can really help us. Thanksgiving might be better termed Amateur Day. All those normal eaters out there have their big turkey feast then fall asleep on the couch while watching the Lions or Cowboys. These normal eaters have seconds and feel as stuffed as the bird they were just consuming. Meanwhile, we compulsive eaters are just getting started. Actually, we probably primed the pump well before company arrived or before we got to our feast destination. Once there, we graze on appetizers, pick at the turkey to get the choicest pieces of skin, take extra helpings of everything, then pile in the pie. By 5:00 while everyone else is groaning about their bloated bellies, we’re thinking about turkey sandwiches. Then comes our Black Friday. It might begin in the wee hours of the morning, with a sudden awakening to acid reflux. Or maybe we’re so full we never got to sleep in the first place and stayed up berating ourselves for gluttony once again. We get up in the morning feeling lethargic, burping, and wondering whether we’ll ever be able to control our eating. All the while, we know deep inside that we’ll never gain control, but our pride tells us to fight anyway. In this way, Thanksgiving is no different than many other days except in the volume of food at the dining room table. Over the rest of the weekend we might tell a spouse or friend that we’re going on a diet on Monday. Or maybe after Christmas. Or in the New Year. We just need to get through the holidays. As Friday, Saturday, and Sunday roll by, we feel that familiar sense of failure and remorse, and our misery continues. Thanksgiving dinner didn’t fix it. Luckily for us, however, we can interpret Cyber Monday in a different way as well. We can see it as an opportunity to look for the solution. We can go online to locate all kinds of OA resources that will guide us toward recovery from compulsive eating! Here’s a few examples for people in different parts of their OA journey. Not sure if you’re a compulsive eater? Take this quiz and find out. Visit this page for newcomers at OA.org to see what happens at meetings and hear podcasts of member’s experiences. Read OA’s FAQ to learn the answers to questions commonly asked by newcomers. Download our meeting list to locate a meeting and read a getting-started guide that’s written just for you. Read the getting-started guide on the second page of our meeting list—it’s written just for you! Shop at the online OA Bookstore where you can purchase approved OA literature, including popular and helpful resources such as The Big Book, The Twelve Steps and Twelve Traditions of Overeaters Anonymous, and For Today. Download the “Been Slipping and Sliding” worksheet to help pinpoint what may have motivated your compulsive eating. Grab the Strong Abstinence Checklist to help you shore up your food. Get out your headphones and listen the stories of dozens of members on official OA podcasts. “We will not regret the past,” says the Promises that many meetings close with each week. Usually we think of this as referring to the stuff in our backgrounds that we’d rather not remember. But we also need to keep careful watch for sentimentalism, a gateway to self-pity. Of course there’s nothing wrong for reflecting gladly on bygone days of glee. We rightly and naturally cherish the memories of our loved ones, special moments, successes, happy surprises, challenges overcome. But the disease of addiction is cunning and baffling, and so we must be on guard and monitor our thinking. Instead of keeping it in the day, our illness can turn our thoughts toward matters of food, weight, and body image quickly and almost imperceptibly. What begins as a pleasant trip down memory lane can turn into lingering thoughts about certain foods or meals. Once our minds reach a place such as this, we can easily slip into self-pity over the foods we can no longer eat. Our disease can begin to tell us that those meals of yore were worth more than our abstinence. The cycle of addiction always beings with a thought or feeling. So how do we recognize when we’re in danger of romancing the foods of yesterday? And what do we do if we enter that mindspace? If thoughts such as these rattle through our mind, we’ve got to act quickly and decisively. The longer we polish this turd, the more it looks to us like a jewel. How do we get ourselves out of this tight spot? Pick up OA’s Tools: The Tools which will turn our thinking back toward our solution quickly. Service: What’s better for redirecting our thoughts than seeing how we can be of service to OA or any group that needs a helping hand? Plan of Action: Any other action that we regularly take as part of our program can help us keep our OA foundation strong. Ask our HP to remove the issue: Go straight to the spiritual source of our recovery! Remind ourselves of the nature of our illness: Our addiction always lies to us, and it even uses truths to deceive us. For example, it reminds us of the fleeting pleasure of food, but blocks out recollections of the daily torture of compulsive eating. Additionally, we must remember that whatever direction our life in recovery takes, it’s an unfolding adventure that we get to live fully one day at a time. Rather than worry that tomorrow won’t be like yesteryear, we can instead rejoice that today isn’t as painful as our old way of living was. Rather than pining for the “good” old days, we can be grateful for this moment in recovery. We compulsive eaters have never cheated ourselves. A full serving for us means enough servings to make us full…and then some. It means an extra dip of a spoon or scooper into whatever serving dish or container we’re holding. It means mounded measuring cups or eating those last bits because we’d “hate to see it go to waste.” We’d rather it go to our waist than to waste! So why do we resist a full serving of OA? Our members share stories all the time about how our illness degraded or ruined their family relationships. How it made them less productive workers or even got them fired. If we don’t put program first there may be no family or job to return to. This disease kills, so eventually there may be no life to return to. It’s like that old story about a reluctant OA telling a longtime member, “I’ve always had a problem with commitment.” The OA veteran, not giving an inch replies, “You don’t have a problem with commitment. You’ve been committed to compulsive eating for the last thirty years.” We all have the ability to work this program and to put it first. The question is whether we’re in enough pain to listen to the voice inside us that wants to get better. Here’s 5 proven ways we can get a full serving of OA! Treat compulsive eating like the killer disease it is: We can’t BS ourselves about the severity of this disease. It will kill us spiritually, emotionally, and physically. It destroys us from the inside out. Keep making meetings: Sometimes we let our minds dictate our meeting schedule instead of listening to our desire to get better. We get “busy” or “tired.” Better to attend a meeting while tired than to be back in the place of being sick and tired of being sick and tired. Get, and use!, a sponsor: If we are truly powerless, then we cannot get better alone. We must ask another person for help. If we have a sponsor and aren’t working closely with them, then it’s time to get honest about why we have a sponsor. Work the Steps: OA is not an intellectual exercise. We can’t think our way out of the illness. The Steps are an action plan that gets us better. Do the Steps seem scary? Perhaps. But aren’t they less scary than the devastation of our disease? Of dying too young? Of a lifetime of physical debilitation, foggy thinking, depression, and enslavement to the likes of Betty Crocker? Raise our hand to sponsor: If we don’t help others, we will eat again. Our literature and experience tell us so. Abstinent but plateauing? Raise a hand to “get someone started.” Done the Steps but feel uneasy about sponsoring? Trust God and raise that hand! Anyone with long-term recovery will tell us that sponsoring is the lifeblood of their recovery. Get a full serving of OA starting right now! Yesterday’s Sponsor Training was inspiring. If you weren’t able to make it, this recap can give you some ideas about your own sponsorship opportunities. Honesty is the most vital and crucial thing a sponsee needs in step one, and it’s our job to point this out and help them find it. Just do it! Get started right away whether you have doubts or not—it’s worth it! We’re there to be as helpful as we can, never to judge, chastise, or belittle. Q: How do we best help someone who is slipping? Q: What do I do when a sponsee is constantly making excuses? A: Remind them that this is a deadly malady that requires us to work hard for the solution. But we must remember that the motivation must come from within a sponsee, not from us. We are there to pass along our experience, not to enforce our suggestions, and everyone arrives at recovery in their own time. Q: Do we continue to sponsor someone after they have completed the twelve steps? A: Even when we have worked through all twelve steps, we remain chronically ill people who need the help and support of others. If we are “full” perhaps this sponsee will now require less intensive work, opening some time for you to work with others. We cannot play therapist, nutritionist, or doctor to a sponsee—it’s not good for them or us! If you couldn’t make it, we missed you. We’ll be doing this again in the fall, and we hope to see you then, and hear your experiences, too! 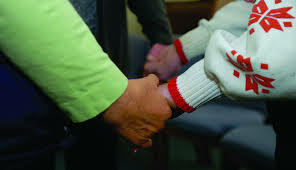 SeacoastOA member experiences provide experience, strength, and hope anytime. Sharing our experiences also strengthens our own recoveries. Click here to share yours. For me there are two types of Service that I enjoy. One is helping at meetings with either setting up or cleaning up: dealing with pamphlets and books and chairs. This takes me out of my “I think I gotta rush” mode and keeps me in the present and grateful for the space and the other efforts of those who create meetings and/or make them successful. The personal outcome for me is usually one of greater connection to my Self, feeling good and happy. This reminds me, a recovering competition hound, that service does not have to be about creating thunder and being noticed, but quietly being helpful. The other service is being available for phone calls and sponsorship. One does not necessarily preclude or exclude the other. The telephone may ring at an inconvenient time, and by answering it, I stay in gratitude for my own program and bless those who have made themselves available to me at various hours of the day. Answering the call says God must need me now—God must want to show me something about myself. When I help another I am helped, always. When I even think that the call is inconvenient, I pause and ask God for help ahead of time. I listen slowly to the person on the phone, I speak slowly to the person on the phone and try to listen to the Voice inside that may need to be repeated outwardly or just taken into my heart and pray for both of us, the caller and me. This too never fails to strengthen my personal walk.